P.T.A. 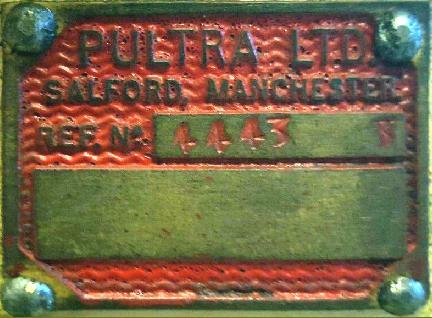 - the Pultra Company - was established just before the Second Word War at 24 Gravel Lane in Salford, Manchester, England assisted by, it is believed, Jewish émigré engineers from the German precision machine-tool industry. The firm was to be acquired in post-war years by machine-tool manufactures Smart & Brown, themselves already part of a bigger group: 'Gas Purification & Chemical'. Although best known for their early "P-Series" and later 17/50 and 17/70 models their first lathe might have been what is now a very rare WW (Webster Whitcombe) model, a heavily constructed miniature lathe obviously intended for serious professional use. Besides miniature precision lathes Pultra also made several small grinding machines (in production quantities, though today they are very rare) and advertised the fact that they were able to produce special-purpose, miniature machine tools as one-off orders. The grinders included a cylindrical model, the '1970', that was made in three versions with 10 mm and 20 mm bores, live and dead workheads and the 18C5, a radius-grinding machine with a hydraulically-operated wheelhead and an unknown model with a swivelling wheelhead and straight-approach slide rest topped by a replica of a Pultra lathe bed. Although Pultra made both conventional "Geneva" and "WW" watchmakers' lathes their most popular model by far was the latter type, first as the robust little Model P and then the far more modern-looking 17/50, 17/70 and 1590 types. As far as can be ascertained the design of the "P" was entirely new and, although established principals of quality engineering were adhered to (and the lathes had the general appearance of a "WW" type) the design did not copy that of any other maker. When the "P" was introduced, in the late 1930s (described by the company in their sales literature as a "Micro Machine") it was an urgently required model for war work, and many thousands were produced for use in British industry and the Armed Forces. During WW2, the Company was forced to drop the normally very high-quality cosmetic finish previously given to their machine and some (but by no means all) were marked "War Finish" For use by the armed services, the company appears to have employed a different model-number system, with the standard Model P - fitted with a screw-feed compound slide rest and a lever action tailstock - referred to as the IU-45. 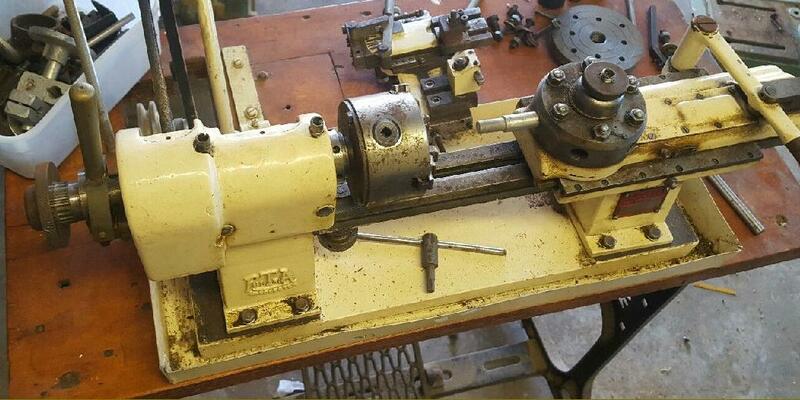 The Company's aim was to manufacture a small but strong lathe capable of the finest accuracy in instrument repair work - and yet one capable of also being run as a production machine, non-stop, on continuous shift working. For this latter function it could be fitted with a variety of accessories including the usual 6-station, self-indexing bed-mounted capstan unit, bar-feed assemblies and lever and screw-feed cut-off slides. Interestingly, although the normal guarantee was for six months the company entered the caveat that, when employed: "for both day and night work", this was reduced to three. Pultra, like Schaublin of Switzerland, claimed that the beds, headstocks, compound slide rests and tailstocks of their lathes were all freely interchangeable - so allowing a workshop equipped with several Pultra lathes to quickly arrange the best combination of features and accessories for a particular manufacturing job. The maker's claim was: "… no matter when made …any lathe bed, headstock, tailstock, capstan slide and toolslide, taken at random from the shelves, will line up within close limits with any other unit". Of 50 mm centre height the Model P was available in two bed lengths - the short PB1 and the longer "twin-support" PB2. Two headstocks were offered; the 8 mm collet PH2 and the 10 mm collet PH4 both able to take either draw-in or quick-action, lever-operated collet closers (a very rare conversion kit was available to load 8 mm collets into the 10 mm headstock). Both types used split bronze bearings designed for continuous running at 10,000 rpm - their ability to do this reliably being advertised by testimonials from satisfied custom The bearings had plain bores with a taper on the outside by which means a precise adjustment of the clearance could be made. A ball race was provided to take end thrust. The bearings were intended to run "warm" at all speeds with the makers suggesting that, if a machine was to be used continuously at high or low speeds, it would be worth adjusting the bearing clearance to suit. When the bearings were well used it was possible to dismantle them and remove a laminated shim (0.003") so that they closed up more when reassembled. The tailstock on the "P" was normally supplied with a simple "push-action" barrel but a lever-operated device was an option and a screw-feed barrel was eventually offered as well. 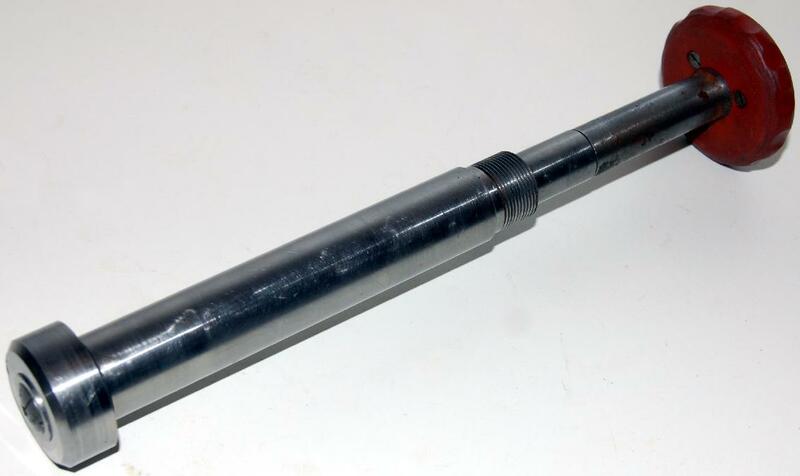 Various arrangements of well-engineered rear and overhead drive countershafts were listed, most with a facility to power an "overhead" system to run toolpost-mounted, high-speed grinding and milling spindles. Later machines turned to a miniature V-belt drive (though the round belt was still effective) but for models of all years it was common (unless specially ordered for some specific task) for 9 speeds to be provided spanning approximately 236 to 5970 rpm. 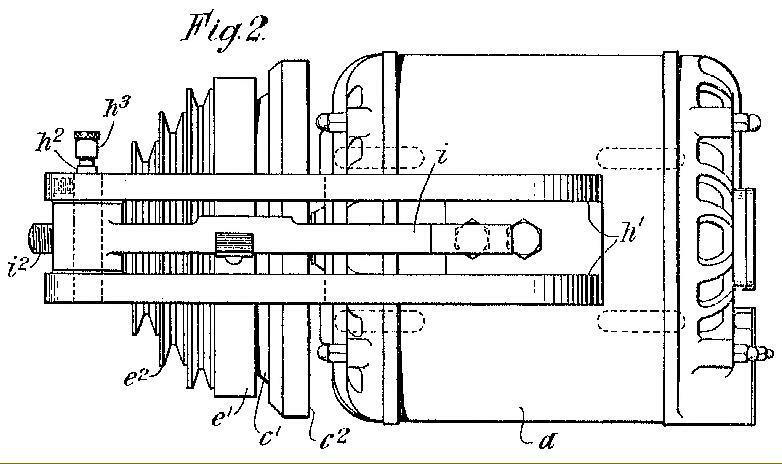 A 2-stage countershaft was also available that gave an 18-speed drive from 236 to 10,600 r.p.m. Because of the special work many of these machines were asked to perform, numerous variations on the standard countershafts have been discovered, obviously built with the aim of giving customer exactly the speed range most suited to their particular requirements. Developed as the 1590, 1750 and 1770 (the 50, 70 and 90 referring to the centre height in mm), the new post-war Pultra models had clean, modern lines with a very high quality paint finish and an enclosed headstock pulley with the drive able to be taken downwards or rearwards to choice. It's possible that between the "P" types and later models an interim or semi prototype model was also manufactured in limited numbers: this had a bed and headstock casting of similar those different-in-detail design to the later models but lacked their end-mounted cover that enclosed the overhung headstock drive pulley - this being, therefore, left exposed. However, as the only known surviving example is incomplete, this arrangement cannot be verified for certain. Although the 1590, 1750 and 1770 models were to be the final development of the lathe production was to continue of the latter two models (albeit in very small numbers), into the 21st century. The first lathe of the new series, introduced during either late 1946 or early 1947, was the 90 mm (3.5") centre height Series 15. This was a very much larger and heavier lathe than other Pultras and, although styled along much the same lines, was constructed from entirely different components. However, so similar do the machines look that it is very easy, in some photographs, to mistake the larger Series 15 (1590) for the smaller types. 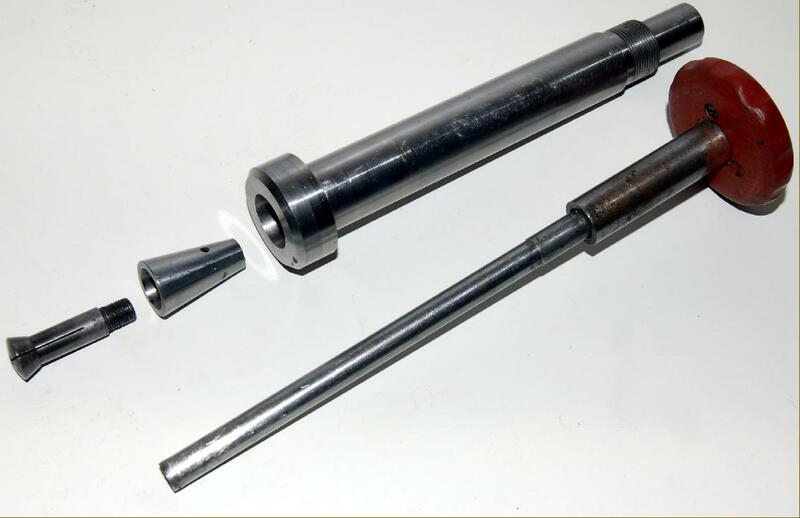 The 20 mm bore headstock spindle accepted collets with a Pultra reference of CJ.1 (20 mm shank, maximum through-bore of 14 mm) whilst the grinding and milling attachments took the Type CE.1 collet with an 8 mm shank (maximum through-bore of 4.7 mm). Three different headstocks were available, all based on a common unit but categorised as "Standard (H.191D), "Special Toolroom" with "Locking Attachment" (H.191.A) and "Production" (H.204D) with, naturally enough, a lever-operated collet closer fitted as standard. Because the single drive pulley was overhung on the left-hand end of the spindle (though covered with an extension to the casting that made the assembly look rather larger than it actually was) the miniature V-belt could be changed on all versions without having to disturb the setting of the super-precision, plain headstock bearings. The use of an overhung pulley was a brave move, and broke with tradition. 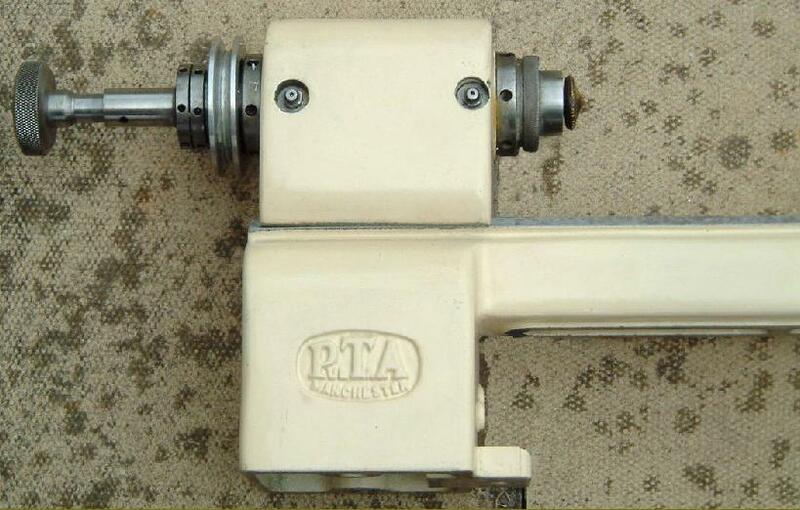 Its advantages were manifold: the headstock, being a completely enclosed box, could be made enormously rigid; the assembly was much less expensive to machine; the number of parts fewer and (on some designs but not the Pultra) it became possible to slip a different pulley on so quickly change the speed range. Driven from the recommended 3-phase, 1425 rpm, 0.9 hp motor with a 3-step pulley on its shaft (and via either rear or stand-contained countershafts) the 9 spindle speeds were: 135, 208, 350, 410, 633, 1068, 1258, 1936 and 3265 rpm. Although the 1750 and 1770 Models had headstock spindles that accepted only collets, or accessories carried on collets, the Model 1590 could mount chucks and faceplates using a fixing with a captive screwed ring behind the spindle-nose flange, a fitting that resembled a miniature version of the American L Series long-taper key fitting employed on industrial-size lathes. With a travel of 4" inches (100 mm) on the cross and 3" inches (75 mm) on the top both slides enjoyed considerably more movement than the 1.875" (48 mm) and 1.75" (45 mm) of the 1750 and 1770 models. The bed was 33.8" (860 mm) long and the length of its shears 31" (790 mm); it could accommodate 15" between centres (7" or 178 mm for the 1750 and 1770). On its optional (but essential) cast-iron base plate the total length was 35.75". Fitted with a No. 2 Morse taper centre and with a travel of 2.25" the 0.8125" (30.2 mm) diameter tailstock spindle was heavily built. Both screw and lever-feed versions were available, with the latter having the same CJ.1 collet fitting as the headstock. A micrometer-graduated collar was fitted to the spindle handwheel, marked in divisions of 0.02 mm. Identical in all but the thickness of headstock and tailstock casting - and the depth of their toolposts - the 1750 and 1770 both used 10 mm collets in the headstock spindle - a 7/8" diameter 26 t.p.i. thread on the spindle end being for the use of a protective sleeve, when the job included cutting close to a collet face, or to mount a closer for large disc "chucks" to pull back against - the expression "chuck" referring, in watchmaking circles, to a collet. Four types headstock were available for the 1550 and 1750: the 'Standard Duty' and 'Heavy Duty' were both set to run at an average speed of 3000 rpm with a maximum of 6500 rpm) - the "Large Bore" was limited to 5100 r.p.m. whilst the "High Speed" could reach and maintain 12,000 r.p.m. reliably. Although, in reality, all models could be provided with any version of the headstock, the 50 mm lathes were usually advertised with a choice of "Standard" or "Heavy Duty" types whist the 70 mm version was listed as being fitted with just the "High Speed" unit. Two bed lengths were produced: a rare 14-inch that stood on a single headstock-end foot and a more common double-foot 18-inch; these gave, respectively, 3 and 7 inches between centres. When mounted on the common-to-both models cast-iron Chip Tray Base Unit (B214), the overall length was 18.75 inches and the weight between 50 and 64 lbs (22 to 29 kg). Three varieties of tailstock were produced for all models: each used an identical standard body and could be fitted with a spindle that was manually positioned or operated by a screw or lever. The screw-feed and "push-feed" versions had either a CF.1 collet fitting or a No. 0 Morse taper and the lever-feed version just the collet-holding bore. The screw-feed spindle carried a zeroing micrometer dial and, because the various components were precisely made, it was possible to buy all three types and use them interchangeably on a single casting. As with most precision lathes, the Pultra could be fitted with a useful range of expensive accessories to enable almost any precision machining process to be carried out: high-speed grinding and milling spindles to use in both the toolpost and on a vertical slide; fixed and travelling steadies; a (very rare) headstock-mounted dividing attachment; tilting and fixed handrests with wide and narrow T-rests; a miniature saw table; 4-way, single and rear toolposts, a filing rest, adjustable roller rest and raising blocks for the headstock, tailstock and toolpost. Production equipment was also listed - turret heads, lever and screw-operated cut-off slides and lever-action collet closers - and the lathes were a common sight in instrument factories of the 1940s and 1950s turning out short run batches of tiny components. At the height of the lathe's popularity a vast range of standard, disc, disc, bell and nose-recessed collets and the usual miniature fittings - die heads, box and knee tool holders, drill and tap holders, etc. were all catalogued. Today the accessories are highly sought-after, especially the collets, milling slides and boring and grinding heads - whilst even the previously neglected production items will find a home in the workshop of a Pultra collector. If you have a Pultra Series 15, a Pultra Watchmakers' lathe or a Pultra grinder, please do contact the writer..
1700 series lathe fitted to the heavy and well-made "Mardrive" cabinet stand with foot-operated combined clutch and brake unit. The Mardrive was developed from a heavy-duty industrial cabinet designed for the mounting of such items as sewing and wire-winding machines - the motor and cone-clutch unit it contained being the subject of a UK patent, 606,574 applied for on September 22nd, 1945, in the joint names of the Marine Engineering Company Ltd. of Bulkeley Road, Edgeley, Stockport and a Mr. Harold Stanway. 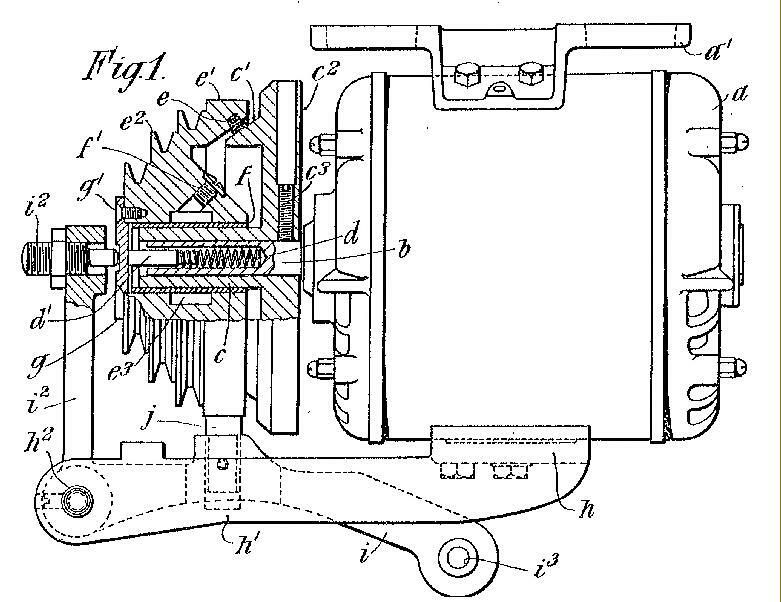 The aim of the patent was to protect the idea of a neat, self-contained clutch built onto the shaft of a standard electric motor - with an assembly bolted on the motor's body to provided a mounting for the operating lever. An abstract reads: .A control mechanism for electrically driven machines has a driving friction clutch member secured directly to a hollow driving shaft containing a spring which acts against the closed end of the bore of the driven member of the clutch, the latter being mounted on the hub of the driving member. An electric motor (a) has a hollow shaft (b) carrying the hub c() of a driving member (c)1 of a cone clutch. The driven member slides on a self-oiling bush (f) under the action of a pedal-operated lever (i) and a spring (d), and has friction material (e), belt grooves (e)2 and a brake drum (e)l. When the lever (I) is depressed, the brake block leaves the drum (e)1 and thrust stud (I)2 moves the clutch member and friction material (e) into contact with the driving member (c)1. Pultra 17/50 & 17/70 countershaft unit with a sewing-machine type clutch on the motor's spindle and an integral overhead drive to a high-speed milling and grinding head mounted on a vertical slide. Between production of the original P-Type models and the updated and more modern-looking 1750 and 1770 types, it is possible that an interim or semi prototype model was also manufactured in limited numbers. As seen below, this had a bed and headstock casting of similar to the later models but different in details and lacking the end-mounted cover that enclosed the overhung headstock drive pulley - this being, therefore, left exposed. However, as the only known surviving example is incomplete, this arrangement cannot be verified for certain. So rare that it never appeared in the maker's sales and accessories catalogues, this conversion sleeve to adapt the 10 mm spindle to take 8 mm collets might just have been made as a one-off in a Company's toolroom.